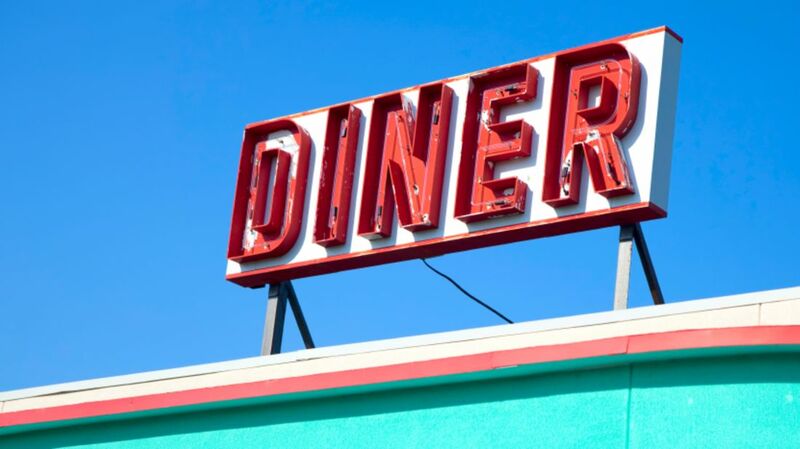 Diner lingo is said to have roots in the 1850s, but didn’t gain much traction until it permeated the popular luncheonettes during the next century. Things like “BLT,” “mayo,” and eggs “over easy” all originated as shorthand calls to the cook before worming their way into casual conversations. Here are some scrumptious phrases you might not be as familiar with. “Rye” and “white” sounded too similar when yelled over the din of a loud, crowded diner, so waitresses started swapping out “whiskey” for “rye” (since there’s a type of whiskey called rye). “Down” is a reference to pushing the knob on the toaster down to make your toast. This one isn’t a presidential reference, but rather a biblical one. The literal first lady was Eve, who (according to Genesis) was said to have been created from Adam’s spare rib. Adam makes an appearance with the popular Eve as stand-ins for a pair of poached eggs. You can order them “on a log” (with sausage), “on a raft” (with toast), or “on a raft and wreck ‘em” (if they’re scrambled on toast). “Adam and Steve” will get you two sausages. The dish originally took its nickname from military lexicon because it was common in base mess halls. But among the diners, the acronym was given a few unflattering meanings: Stew On a Shingle, Same Old Stuff, Save Our Stomachs, and, most popularly, S**t On a Shingle. We’ve already learned that “down” means “toast,” so it follows that the original slang for a tuna sandwich was a “tuna down.” This later evolved to “radio” because diner staff thought that sounded an awful lot like “turn it down”—something you’d do to the dial. This sticky-sweet diner classic gets its name from Coca-Cola headquarters’ home in Atlanta, Georgia (an “Atlanta special” is just regular Coke). “Dragging” the drink through Georgia refers to making it muddy (or chocolaty). This one is also a reference to company headquarters—this time the Kellogg Company, which is based in Battle Creek, Michigan. A “Grilled American Cheese” is a GAC—pronounced and often written as Jack. Add bacon and it becomes a Jack Benny, after the famed comedian and radio host. Sorry, Yinzers, this is likely an unflattering reference to the smokestack-filled skyline of Pittsburgh in the mid-20th century. This stems from the fact that the card game, bridge, requires four players. Back when sodas were made on diner premises by combining syrup with carbonated water, soda jerks would try to “stretch” a little bit of syrup as long as possible to flavor the large drink. Another biblical reference, this time to one of the ark-builder’s sons, Ham.